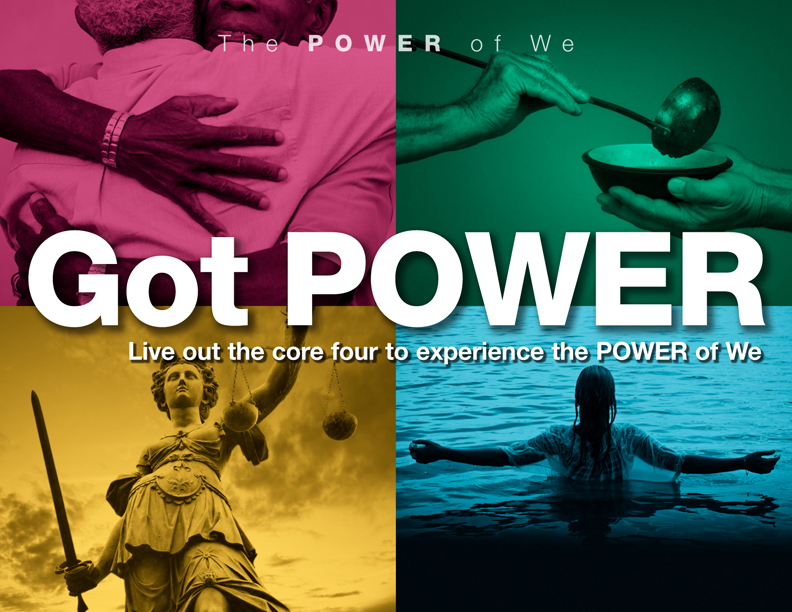 The theme of the Mississippi Conference of The United Methodist Church, 'The POWER of We' features the Four Core Values of the Mississippi Annual Conference. Based on Acts 2:41-47, Bishop James E. Swanson, Sr. leads Mississippi United Methodists in teachings on love, generosity, justice and apprenticeship. This page intended for the Mississippi United Methodist Church, is a resource to the presentations and materials on The POWER of We. The Mississippi Conference of The United Methodist Church website, its companion Facebook pages and Twitter handle, as it relates to The POWER of We, are intended for use by Mississippi United Methodist churches. All content, images, designs, video messaging, sound recordings, logos and other POWER of We materials are the property of the Mississippi Conference of The United Methodist Church. For use and duplication outside the Mississippi Conference, permission must be granted. To request to use POWER of We materials, contact the office of communications at 601.354.0515 or send an email to news@mississippi-umc.org. In the spring of 2013, Rev. David Schultz was inspired to produce The POWER of We song for the Mississippi Annual Conference. In 2014, he performed the song with three others during the annual conference session. Click here for more details.